Double QV Offer for 4/15/19!!! If you want BABY SMOOTH SKIN, pamper your face with this special exfoliating treatment! Just massage a dollop the size of a nickle onto your just washed, moist face. Let it sit for 5-10 mins. Rinse & pat dry for the smoothest, softest skin E-VA!!! It's Monday and DOUBLE QV Time!!! Peggy will share her personal story of resilience and the joys of entrepreneurship. 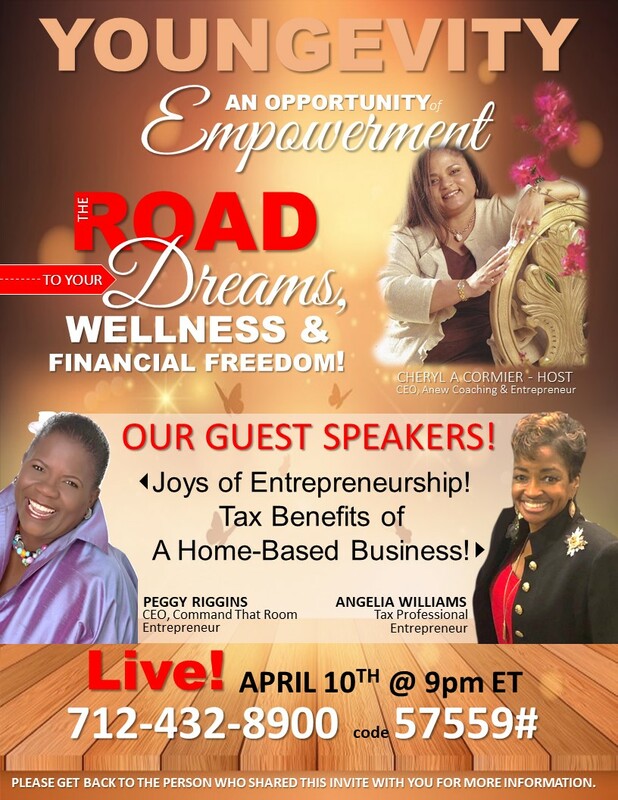 Angelia, as a tax professional, will share the benefits of a home-based business! LET'S MAKE THE CALLS A HUGE SUCCESS. We need your help to ensure our LIVE calls are successful. MAKE THE LIVE CALLS A PRIORITY. a priority to participate on the LIVE calls on 2nd and 4th Wednesdays. These calls are designed specifically for GUESTS! 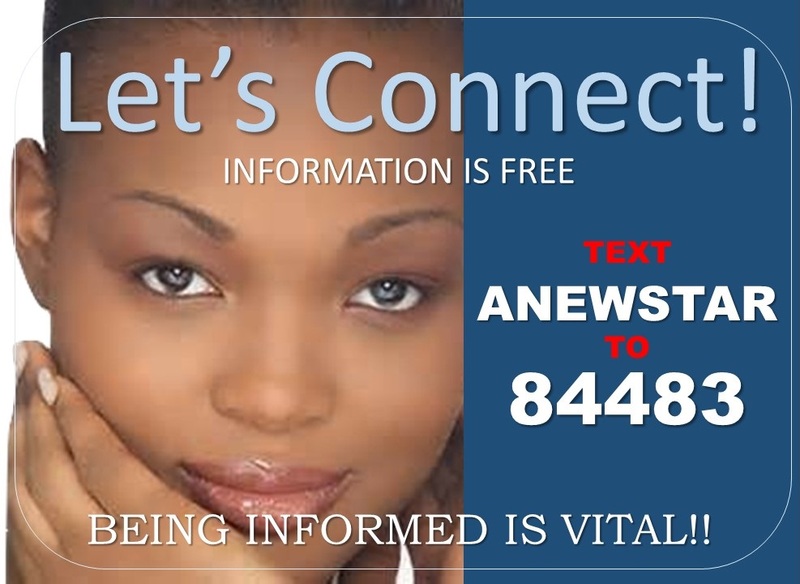 The conversation will be geared for your contacts who are considering the products, services and even the business opportunity. Each special guest will share their story or expertise to show how the products, services or business opportunity has impacted their lives. All business partners are invited to join the call, to share with us, to grow with us and to invest in the beauty of their dreams. IMPORTANT NOTE: Each call will be recorded for your use with guests in between LIVE calls. Be sure to check FACEBOOK for the unique SHARING ID for each recording. We're rolling out our new schedule for monthly team calls! 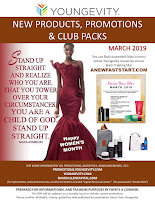 New Growth, Sales, & Team members!!!! 1. 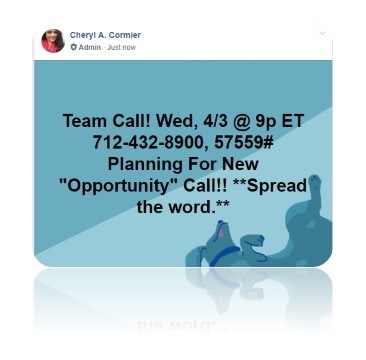 Discuss and set goals for our first LIVE Opportunity Call (4/7). 3. Steps to GET READY FOR GROWTH! Tag a business partner to let them know this is an important call and a must for everyone to be on. QUICK. EFFECTIVE. EASY TO SHARE. use personally or recommend to our customers. And that means it will be great for building your business. Learn more by taking the 5-10 minute quiz...CLICK HERE. Or copy and paste the following link. your customers select the proper Healthy Body Start Pak for their needs. Answering Your Questions re: Renewal Policy. 3. Post your Questions in Comments below. NEW!!! 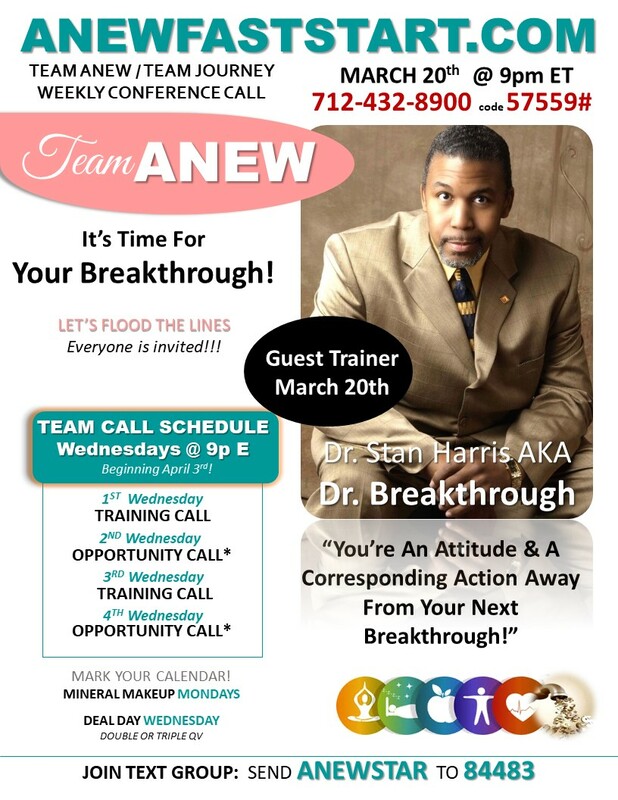 Team Call Structure Beginning April 3rd! 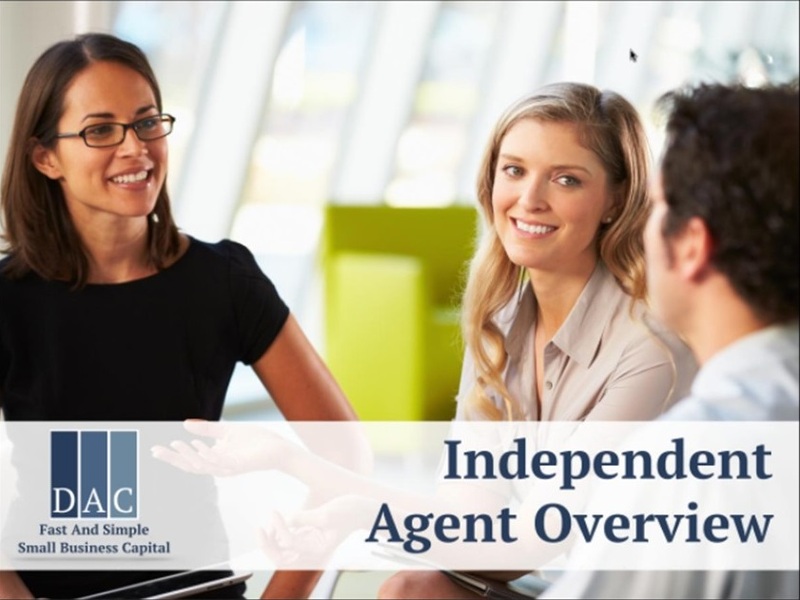 *Your GUESTS are welcome and specially invited to participate in our team opportunity calls. Recordings of the opportunity calls will be available 24/7. Wednesday, March 20th @ 9pm ET. SPREAD THE WORD! LET'S FLOOD THE LINES!!! !